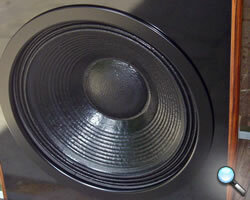 ELODIS SUBWOOFER has temporary closed down all business activity as from March 31 2016 and this site is no longer used for commercial propositions. 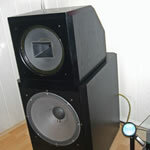 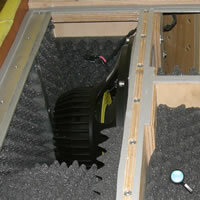 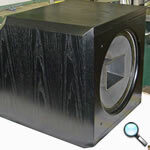 ELODIS SUBWOOFER would like to say a BIG thank you to all customers! 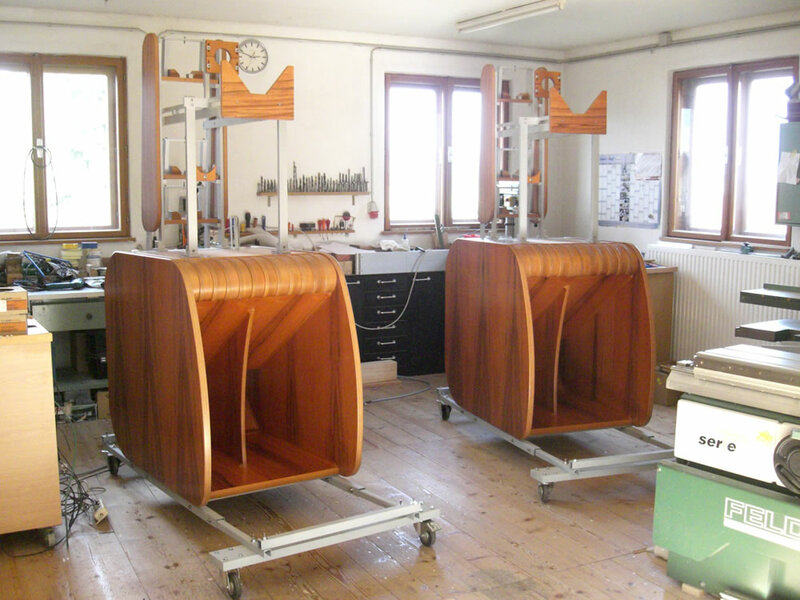 It was a big pleasure to me to realize all your projects together with you and I hope my products are able to bring joy to you for a very long time! 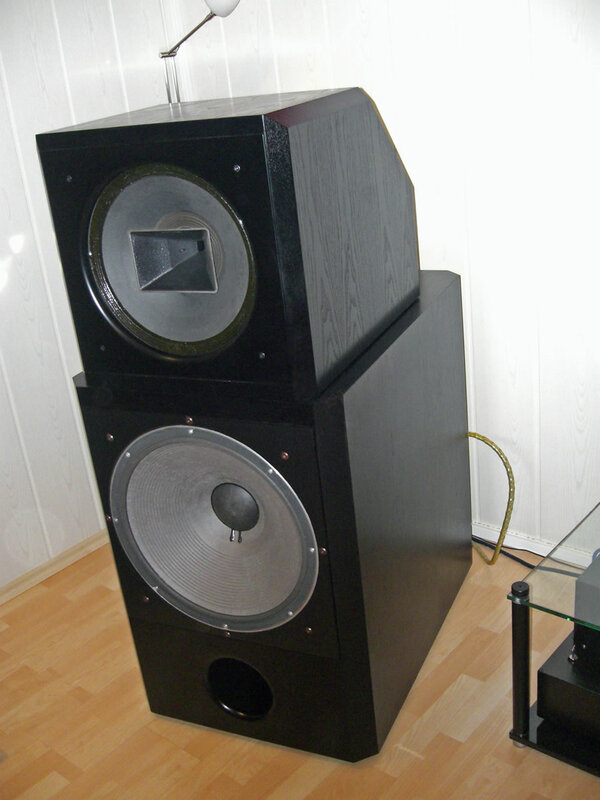 Listed below some of the projects realized by ELODIS SUBWOOFER from 2007 to 2016. 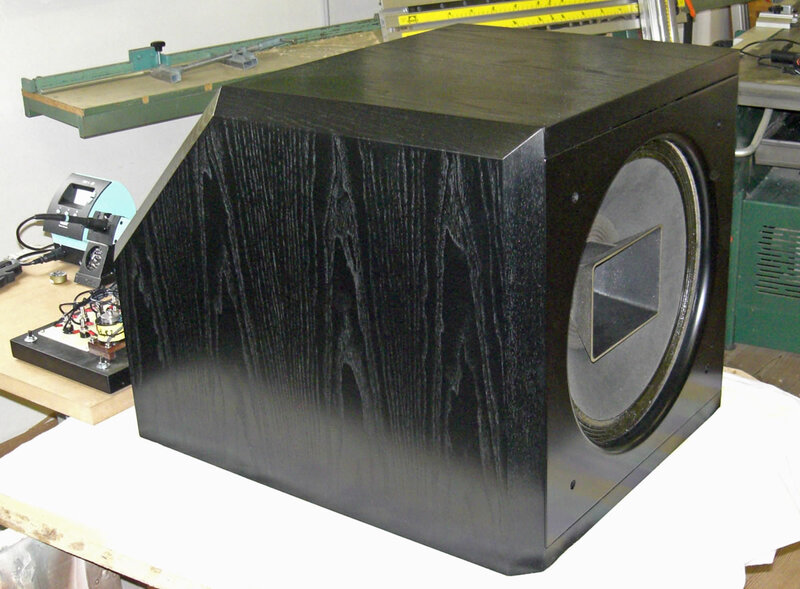 With the powered 21-inch Subwoofer ELODIS-SUB SB121A a very powerful and relatively compact active subwoofer has been implemented to supplement an existing system down to the deepest frequency range. 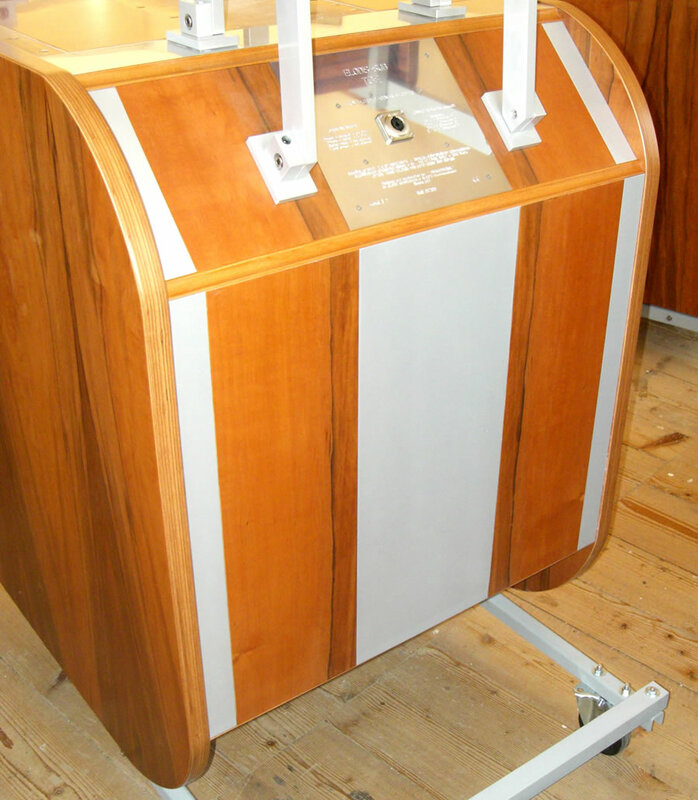 fine-tuning of the whole system on site if wanted – no extra costs for work, only compensation of expenses incurred. 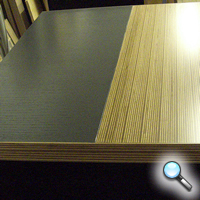 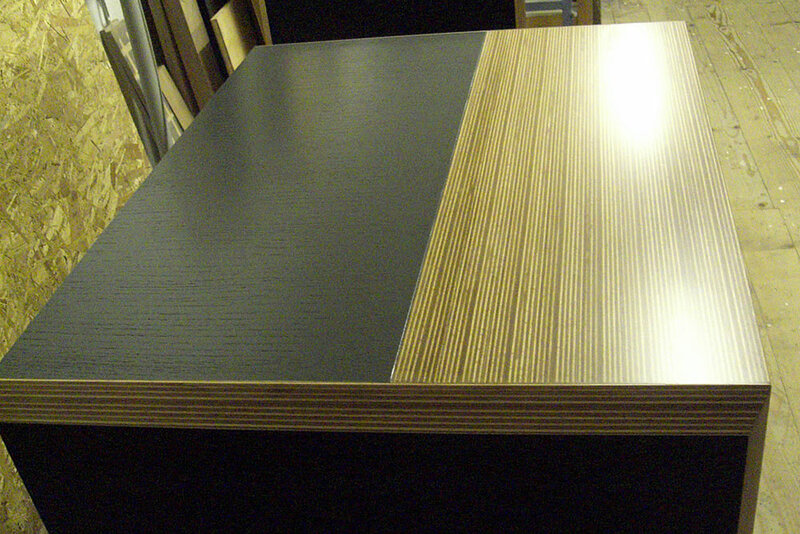 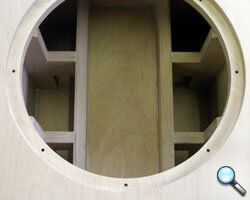 using of special high efficient beech wood dowels and 2K polyurethane adhesives for maximum rigidity and durability. 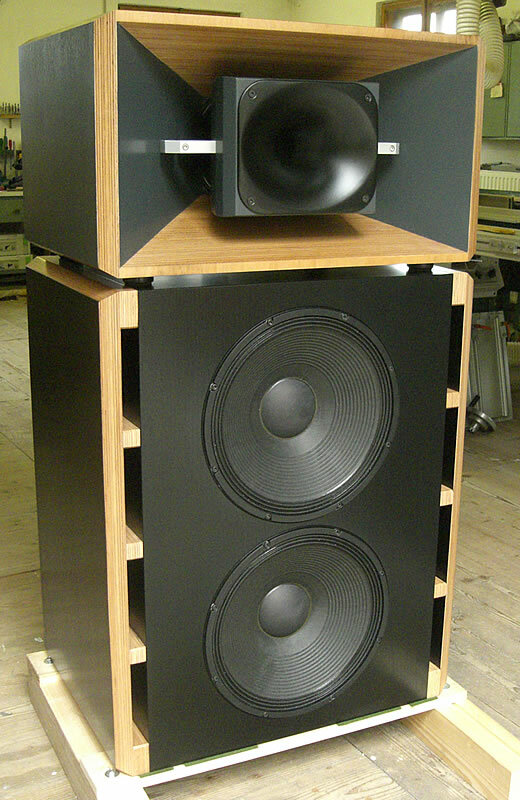 For the best possible ratio between enclosure size and power requirements with regard to the achievable maximum acoustic pressure. 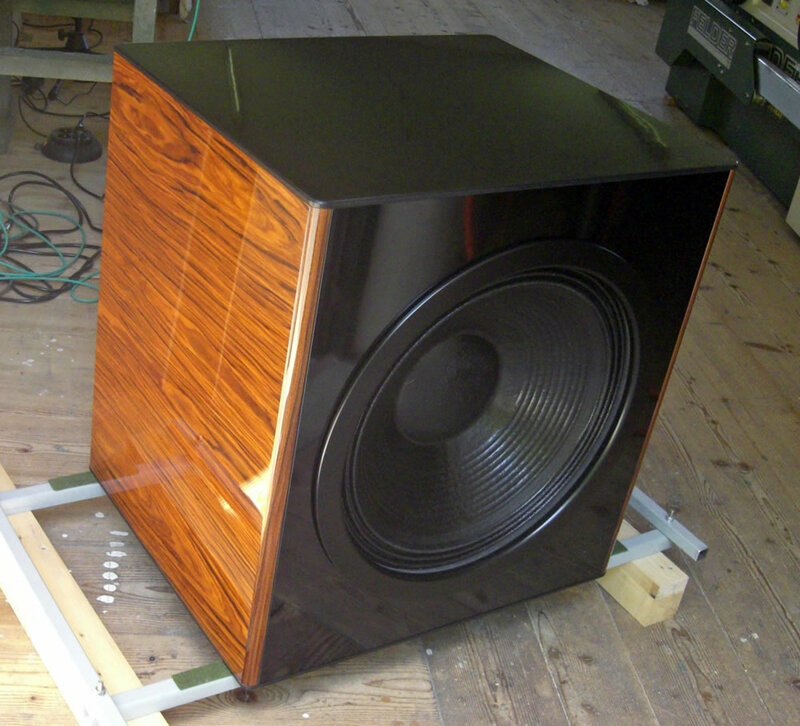 With the ELODIS-SUB-VB24 (no longer available) and ELODIS-SUB-VB21 subwoofers have been implemented which offers highest acoustic performance also in very big listening rooms and which due to its individual surface design makes an optimal adaptation of the subwoofer to the existing living environment possible. 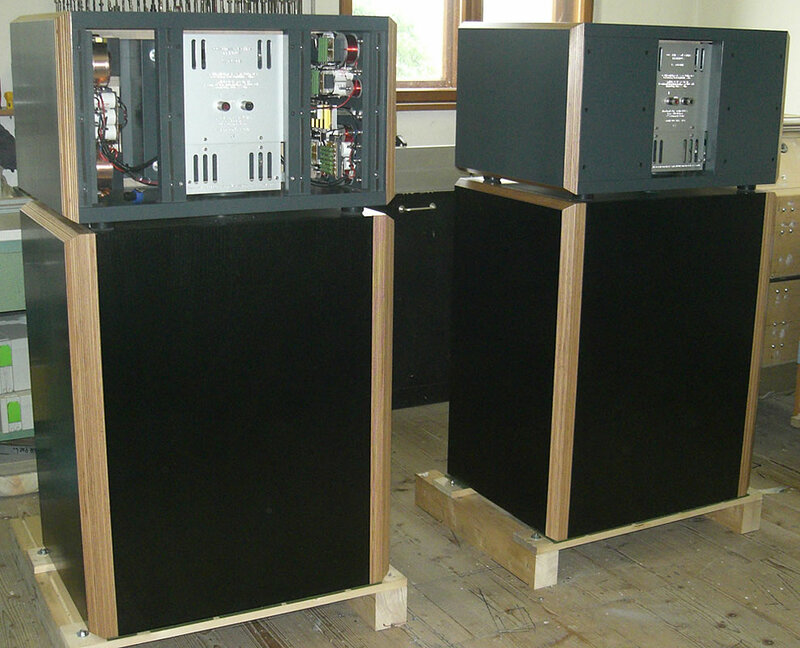 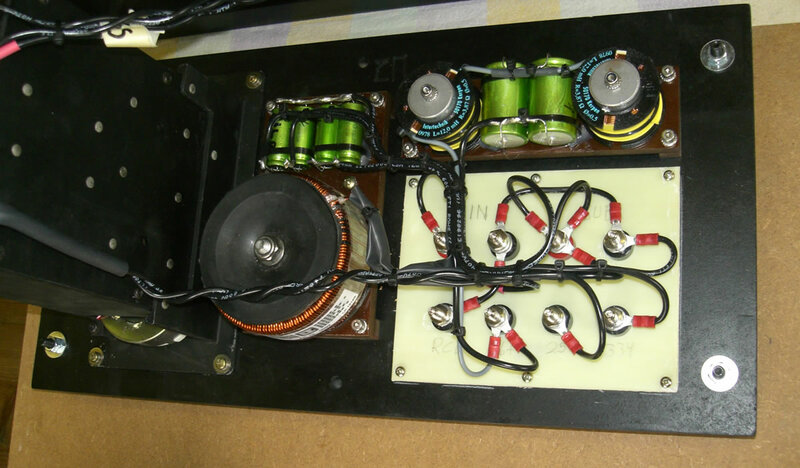 Both Elodis-Sub-VB24 and Elodis-Sub-VB21 are based on the same type of highly sophisticated bass reflex enclosures that are practically free from enclosure losses. 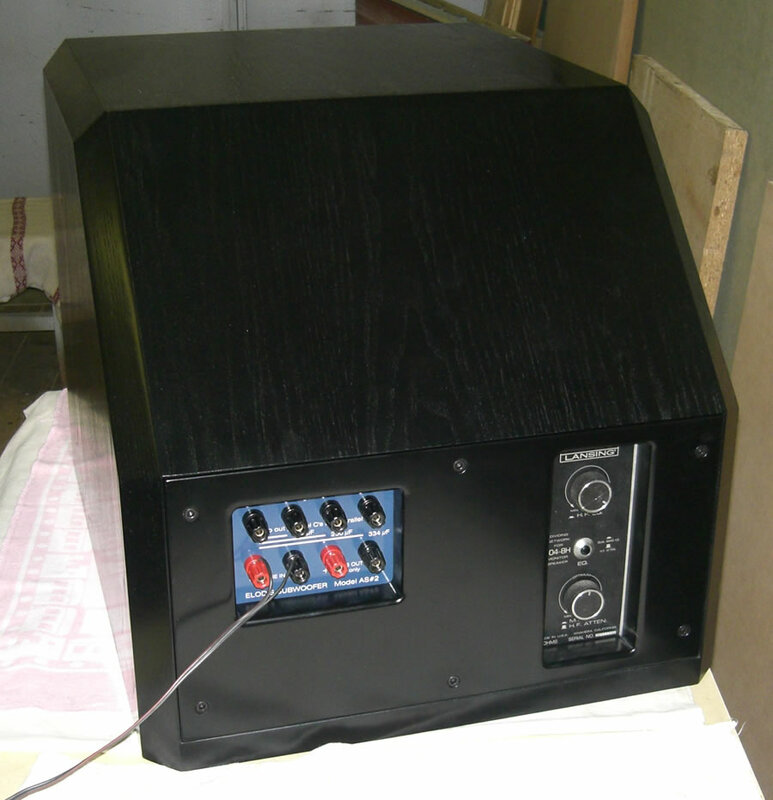 No-compromise regarding sonic performance and maximum sound pressure level without distortion and minimum power requirements to the disadvantage of a larger enclosure. 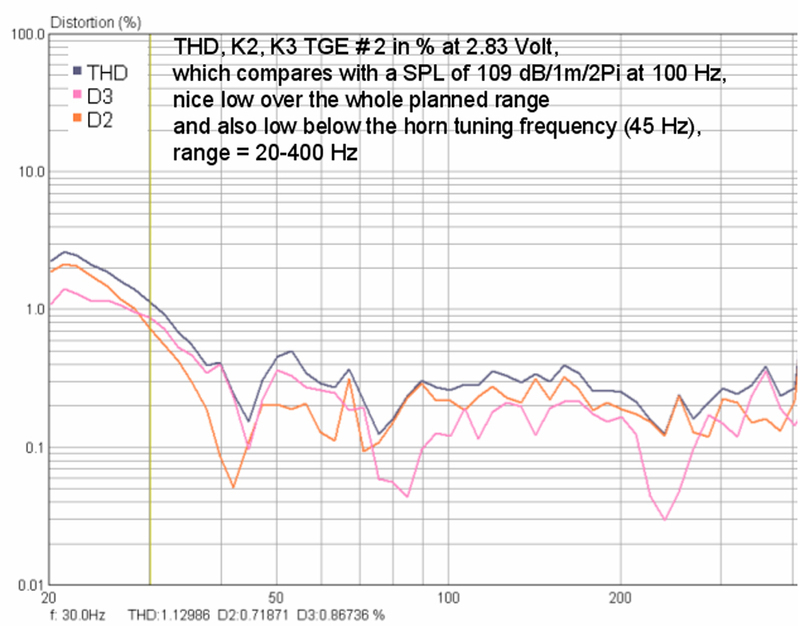 The new front-loaded-horn ELODIS-SUB-TGE has been designed especially as very high quality and powerful solution for existing horn projects. 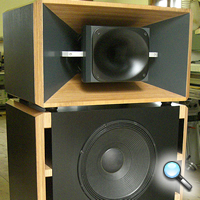 This front-loaded-horn is particularly characterized by his extened and linear frequency response and very smooth roll-offs at both the lower and the upper end and due to the superior low distortions. 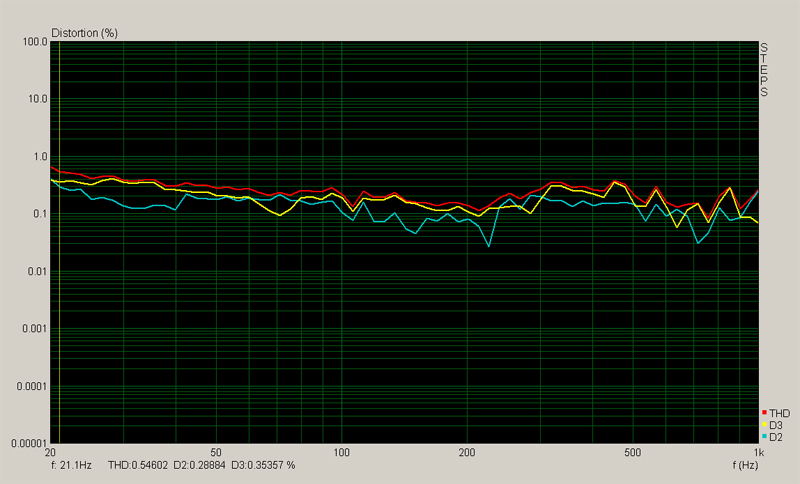 (see graphs below). 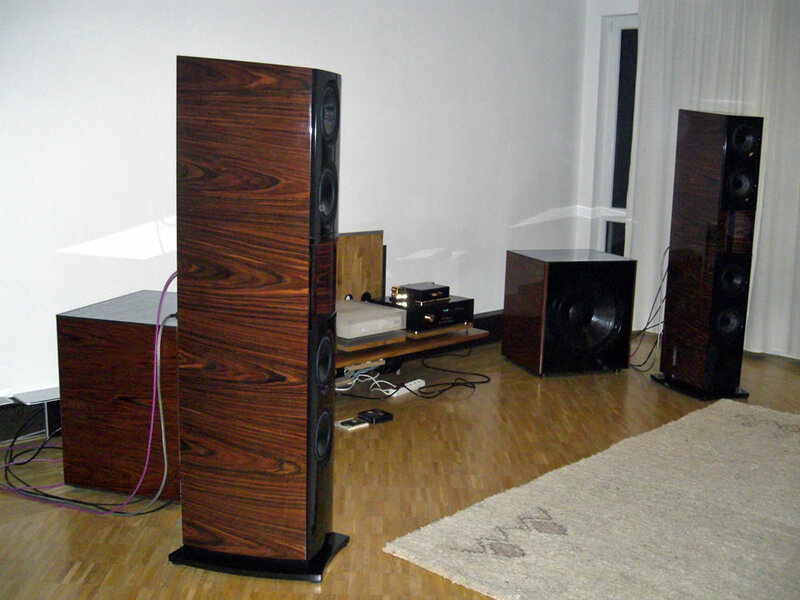 Due to this tuning the ELODIS-SUB-TGE is very universally usable – positioning near by a wall or corner positioning, also in smaller rooms, are highly recommended as well as large listening areas. 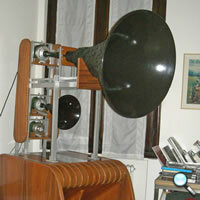 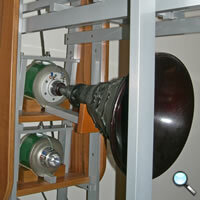 This horn works fine from 40 Hz (30 Hz at near wall/corner positioning) up to 300 Hz. 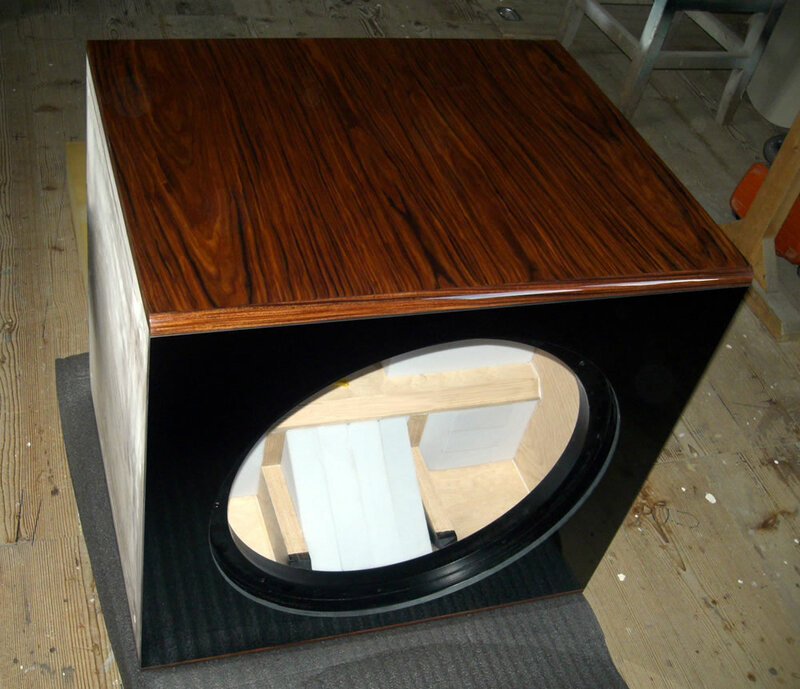 The enclosure is made of special beech plywood (30mm) and selected hardwoods and well braced by using aluminium and the above-mentioned beech plywood and therefore extremely solid and stiff. 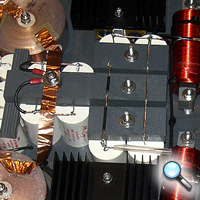 This results in an exceptional precise, distortion-free and powerful sonic performance, very close to live performances. 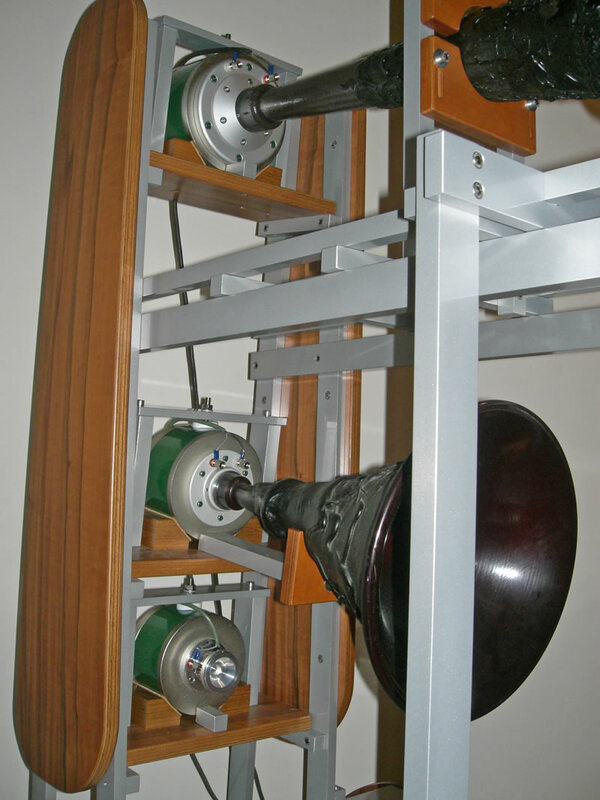 Assembled with 2 pieces of 15” (380 mm) high power drive units of the latest generation load the horn in impulscompensated configuration. 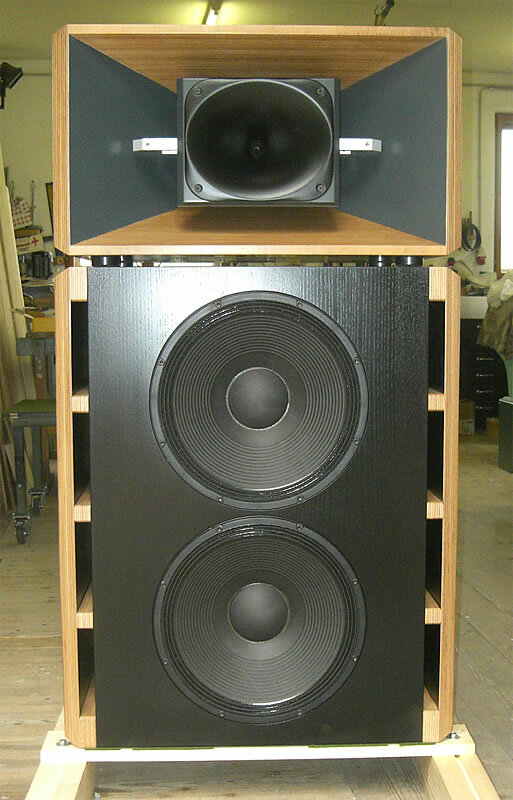 Due to the smooth roll-off at the lower end and the low distortion below the horn frequency and the used high power drive units no subsonic filters are needed neither at full power nor with very deep bass sequencies containing records. 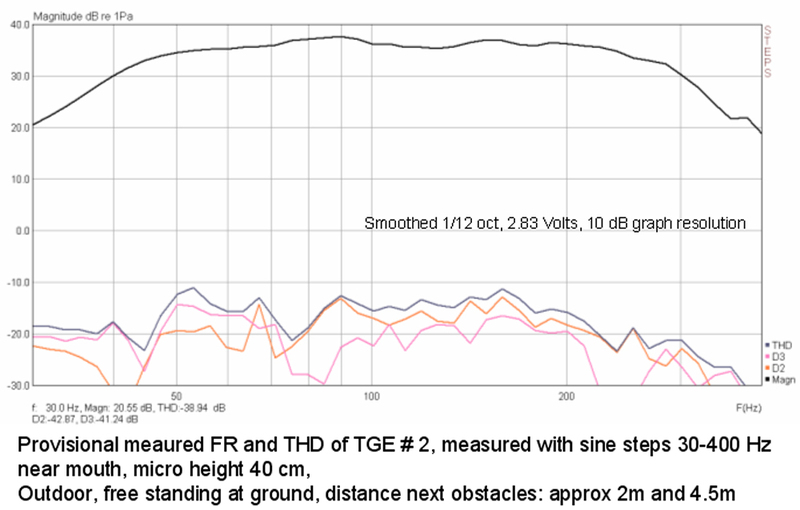 Maximum acustic output without audible distortion: 140+ dB/1m /near wall positioning over the whole described frequency range. 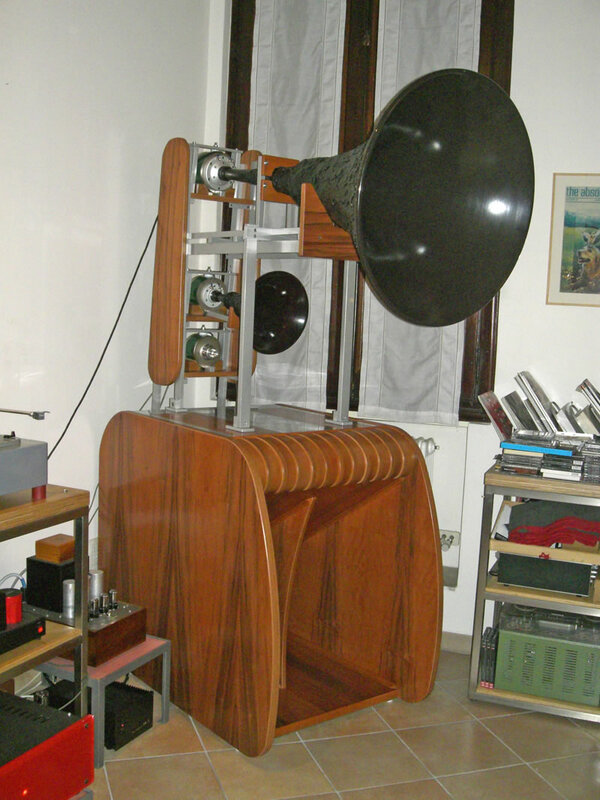 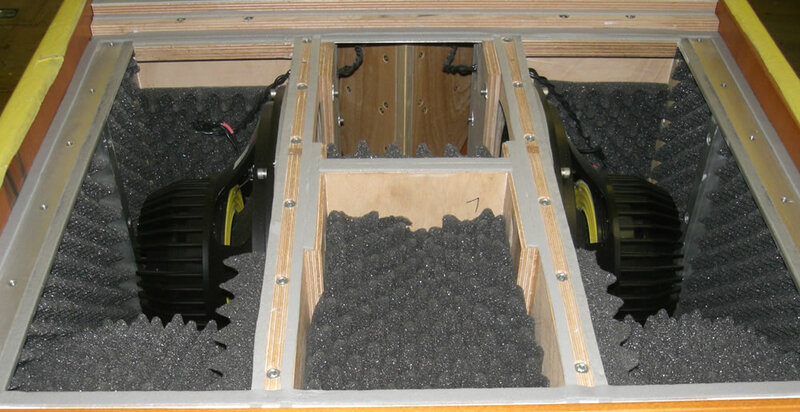 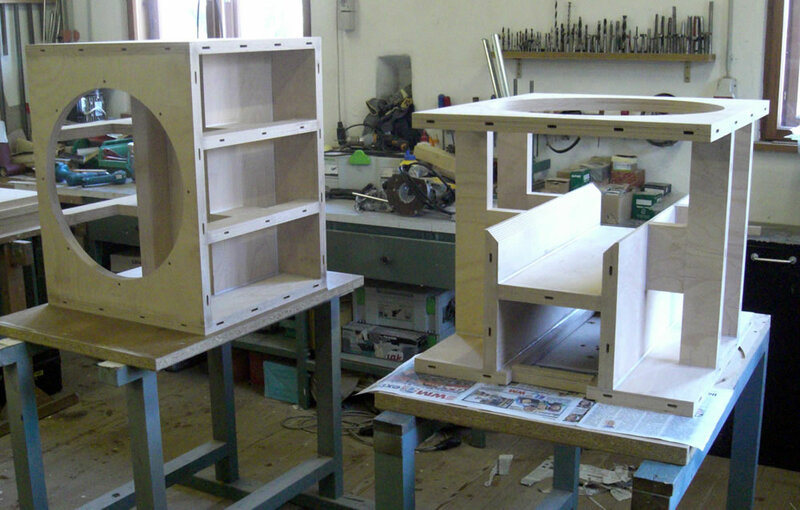 Following pictures show a finalized custom-built active 4 way hornsystem by using the ELODIS-SUB-TGE up to 250 Hz and with optional designed and custom-made horn holders (also by ELODIS SUBWOOFER) and for the upper ways drivers and horns from GOTO were used. 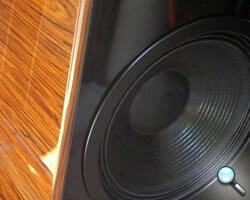 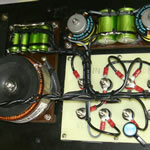 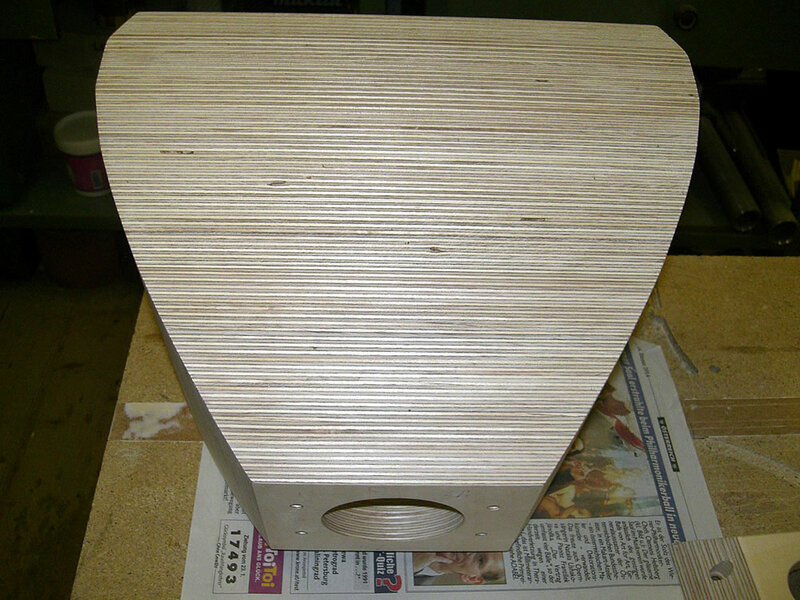 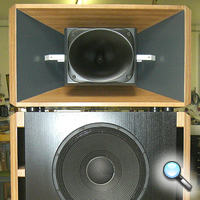 Currently a very powerful Front-Loaded-Horn subwoofer is in development. 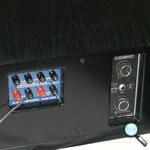 Release of this project is depending on feedback. 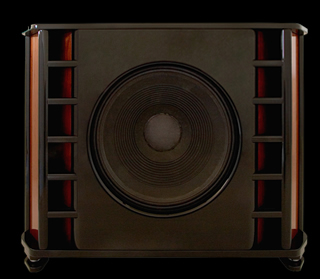 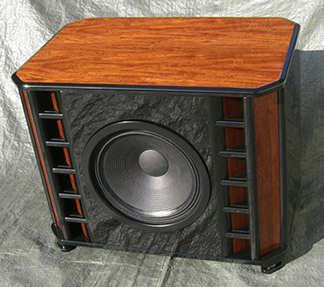 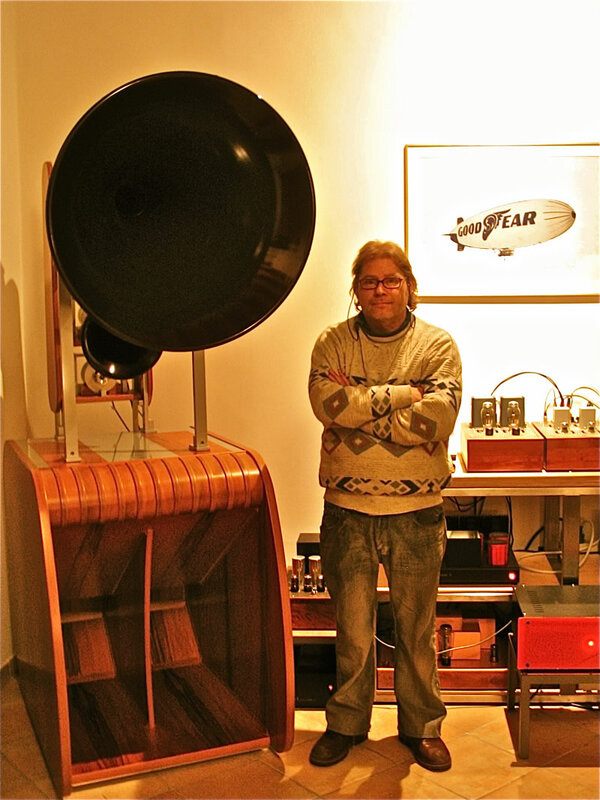 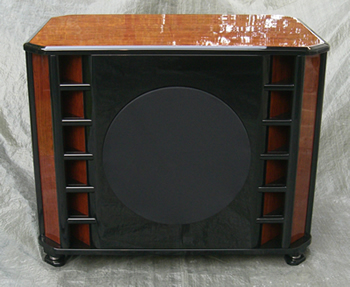 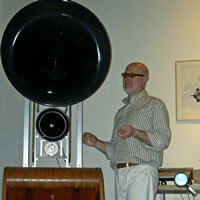 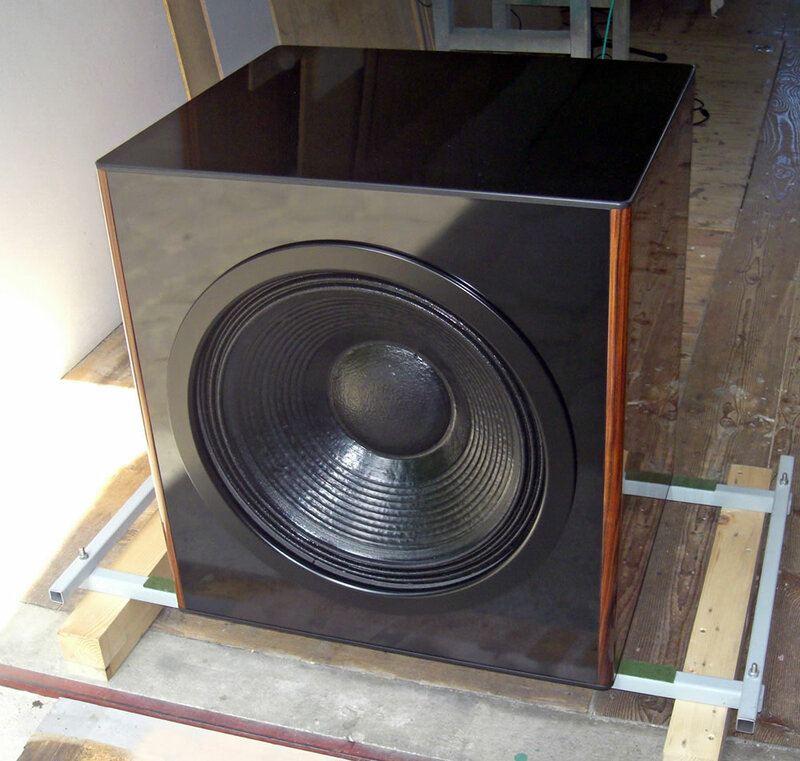 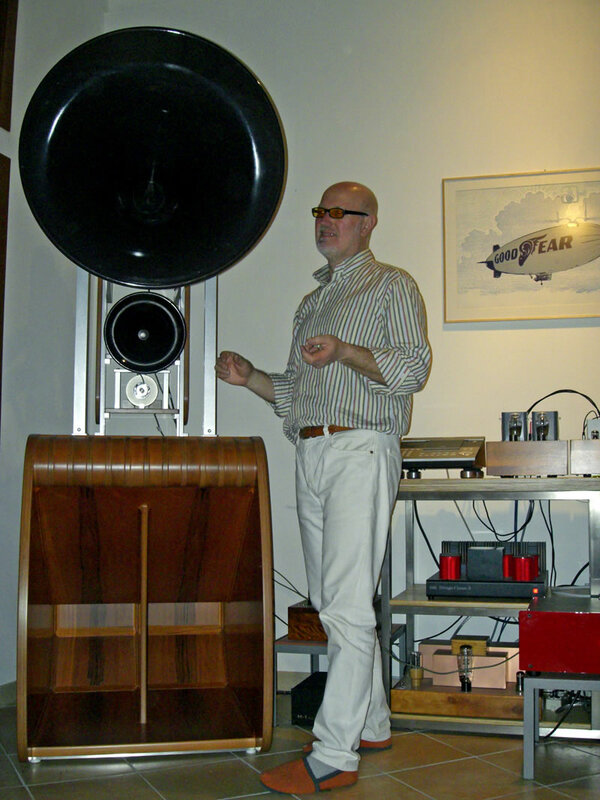 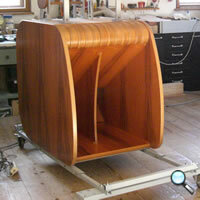 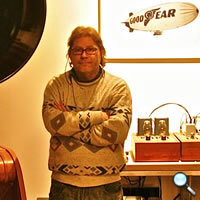 Please tell us via (Contact form) if such a large-sized subwoofer could be attractive for you. 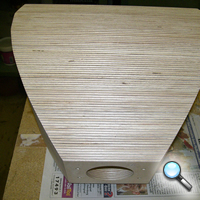 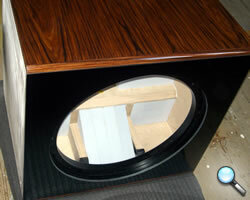 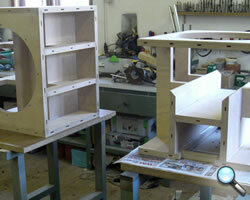 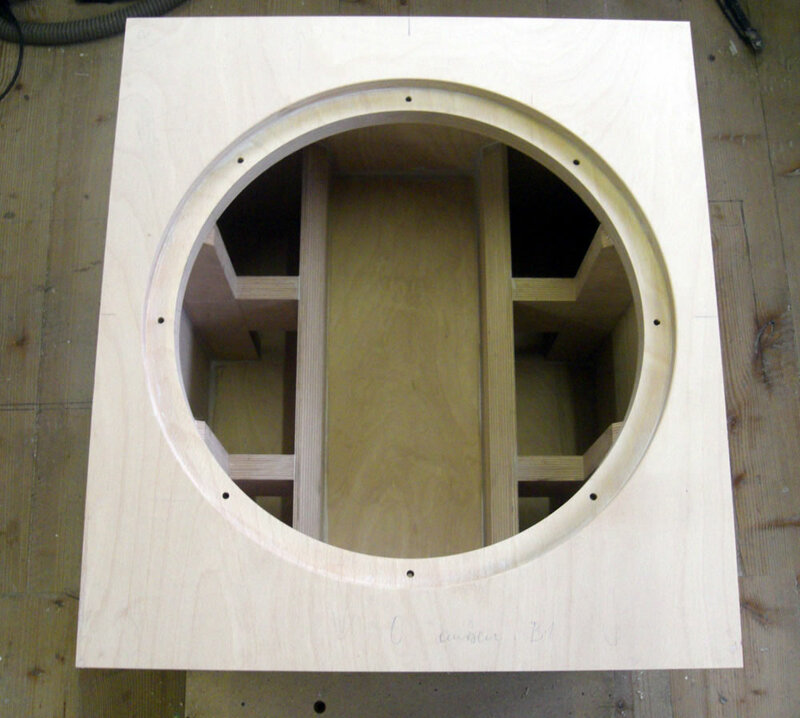 Basic information to this subwoofer project: Two-part cabinet designed for wall/floor junction placement (stereo), approx. 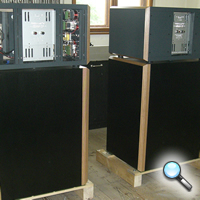 90 cubic feet volume (gross), 4 pieces of 18” drive units (2 for each cabinet), SPL max. 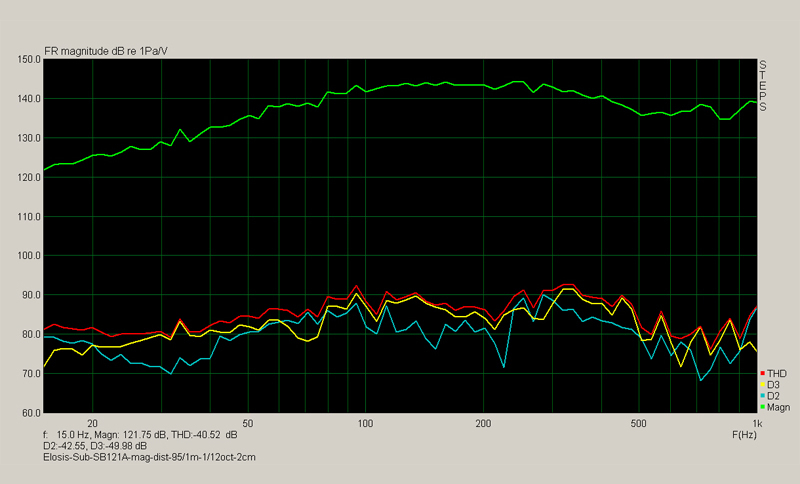 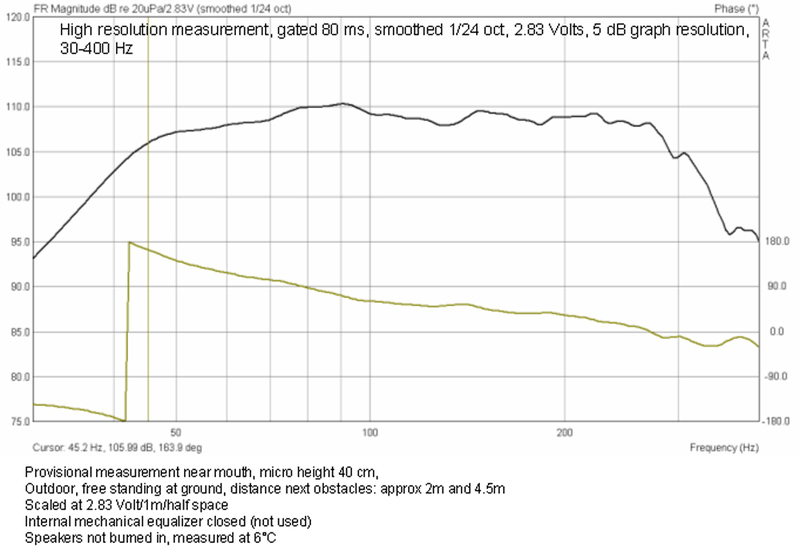 > 145 dB/1m from 30 Hz, -3dB at 25 Hz. 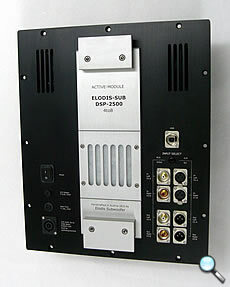 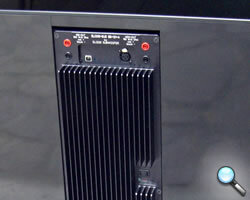 The ELODIS-SUB DSP-2500 (discontinued) has been developed to supply any subwoofer drive unit(s) with the required power. 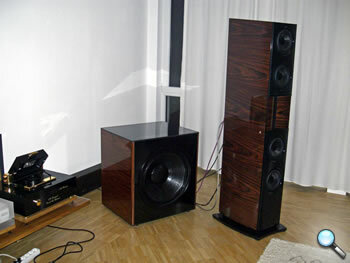 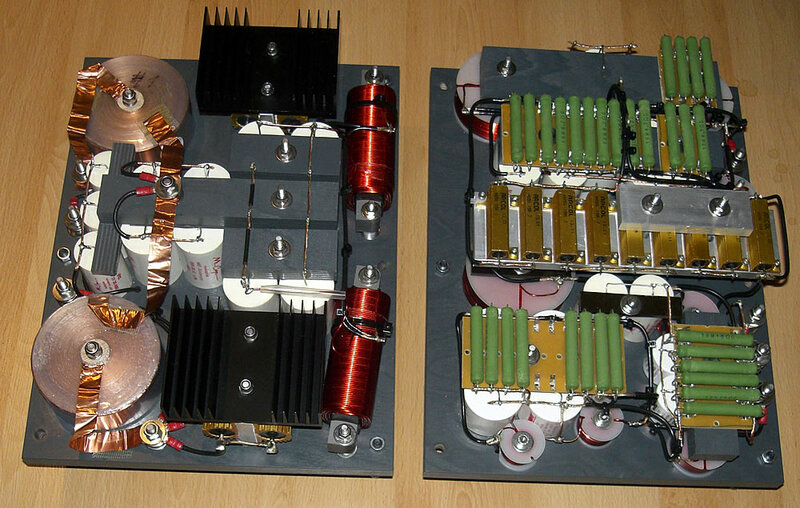 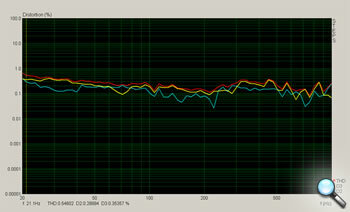 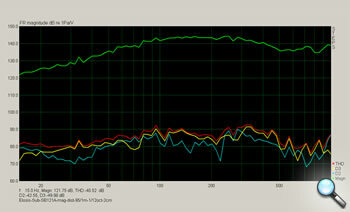 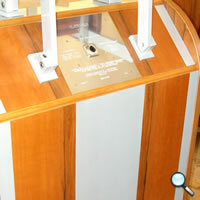 Therefore two versions for different loudspeaker impedances are available (version 4to8 and version 2to4). 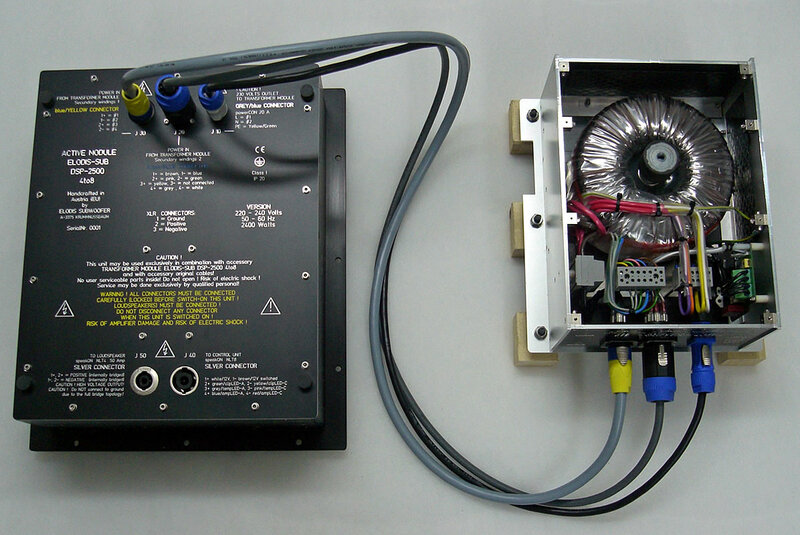 These modules are available for 210-240 Volts power lines as well as for 105-120 Volts power lines. 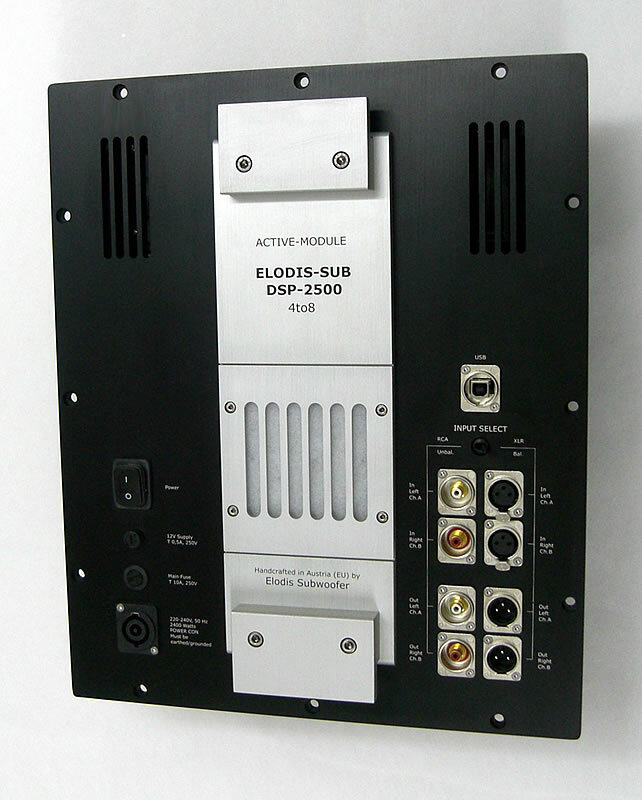 These active modules are available as stand-alone products as well as an option for all ELODIS-SUB subwoofer products. 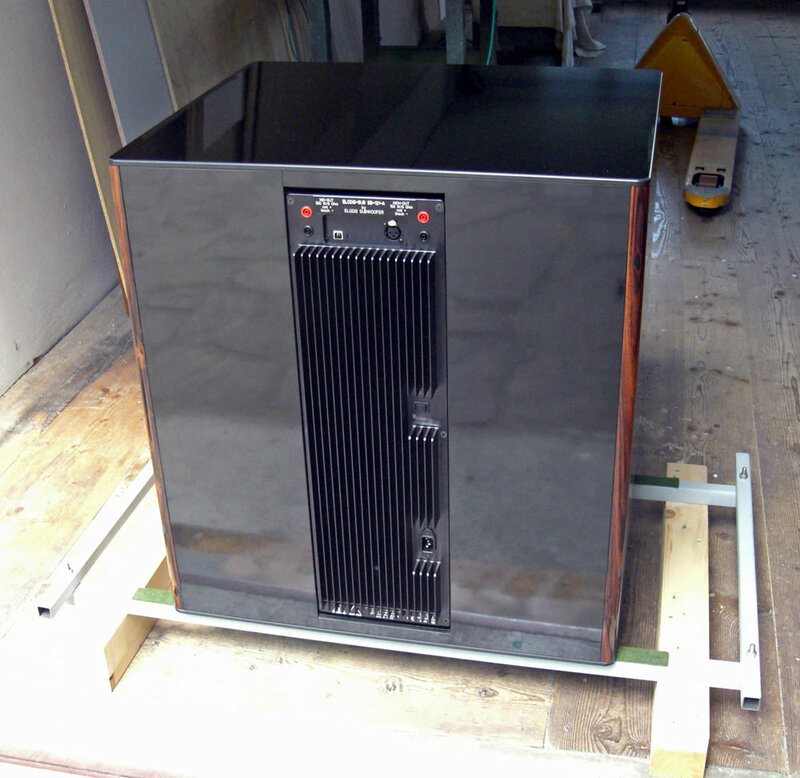 Delivery time for the first period of six months in 2010 will be around 4 weeks.